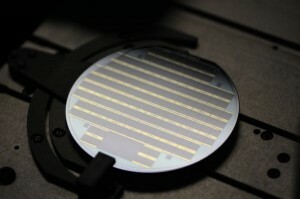 Solar Junction’s concentrated photovoltaic (CPV) cell has achieved a world-record efficiency of 43.5%. The company reported that the US Department of Energy’s (DOE) National Renewable Energy Laboratory (NREL) confirmed the commercial-ready production cell efficiency under their Measurement and Characterization Laboratory. Solar Junction’s 5.5mm x 5.5mm production cell received support from the DOE’s PV Incubator Program and beat the current CPV cell efficiency record by 1.2%. Furthermore, the company maintains that the CPV cell’s average efficiency gain is higher than that achieved by any prior record holders. The company’s CPV cell was calculated to have a peak efficiency of 43.5% at greater than 400 suns and preserved efficiency as high as 43% out to 1,000 suns. Solar Junction pointed out that over the past four years world-record CPV cell efficiencies typically saw improvements of 0.4% annually. The company’s new world-record however, comes only two months after the NREL confirmed 41.4% efficiency under the PV Incubator program.